$50 per hour for the Month of July! Reg $60. Book your energy readings now with Shana and be guided by those ancestral spirits who surround and protect you. Shana has a unique ability to read a person’s ancestral guides to receive messages and clear unwanted attachments. She uses a combination of divination tools such as tarot, oracle cards, herbs and stones, and other tools as she sees fit. These are custom readings that are personal and reflective in nature. 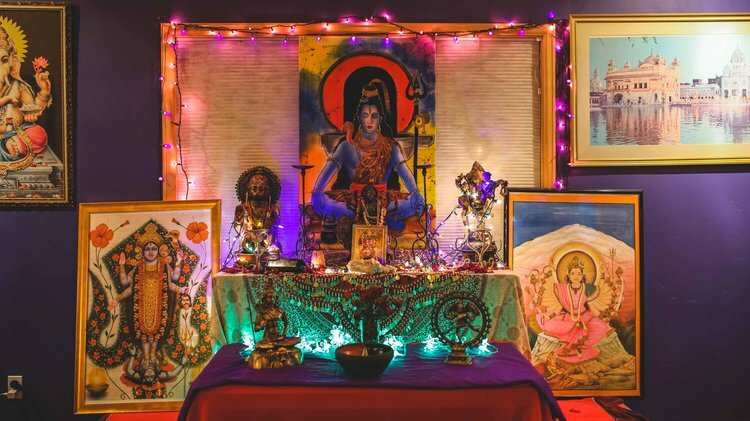 Shana can also assist you in setting up an ancestral altar and she teaches other classes at Peace of Mind Books for tapping into your hidden realms! Right now, it seems to be a common trend to believe that spirit guides are primarily animals or angelic beings – but this is only one small dimension of the many possibilities that exist out there. Many spirit guides manifest themselves as half man/woman and half animal. Examples include: centaurs, fauns, harpys, mermaids, sphinxes, fairies and minotaurs. Many deities also appear as spirit guides, for instance, Anubis (jackal-headed Egyptian god), Ganesha (elephant-headed Indian god), Ra (falcon head, human body) etc. The first ever spirit guide that I personally made contact with was Pan, a half man half goat entity, who “revealed” to me my own personal shadow self and the need for me to embark on a journey of healing my core wounds. Ascended masters are beings that have already lived on this earth but have become enlightened, awakened or have transcended the cycle of reincarnation. Thus, ascended masters represent the ultimate teachers and gateways to the divine. It is said that ascended masters, like all spirit guides, teach all people who call on them (not just you) to achieve greater wholeness and harmony in life. Common examples include Krishna, Jesus, Confucius, Kuthumi, Melchizedek, Mary the Mother of Jesus, Babaji, Gautama Buddha, and many others. Shana is our West Coast girl. Having grown up in California she found her path through hard times like so many others; living up and down the coast escaping her pain by any means necessary. Five years ago she landed in Oklahoma and connected with this amazing group of women healers at Aquarian Age Massage in Tulsa. Shana is an eclectic. She uses a combination of various magical traditions, energy work and crystals when doing her healing work and is our magical altars and sacred spaces go-to goddess. Shana Zimmerman is a life long rock hound and crystal lover. She began her extensive study into the healing benefits of crystals in 2012. She studied Fashion and Business at Fresno City College and at the California Academy of Merchandising, but her heart and soul is in healing and enlightenment. 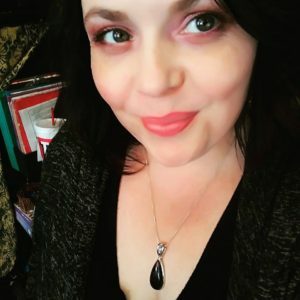 Shana has been teaching Crystal Workshops though Peace of Mind Books since October 2014, and uses her gifts as an intuitive to do Crystal and Oracle Readings. Shana is also ordained through Universal Life Church as is available for weddings, blessing ceremonies, and house clearings. If you are interested in Shana’s services, please fill out the form below or text 918-900-7180.